Attention all Ole Miss Rebels fans. 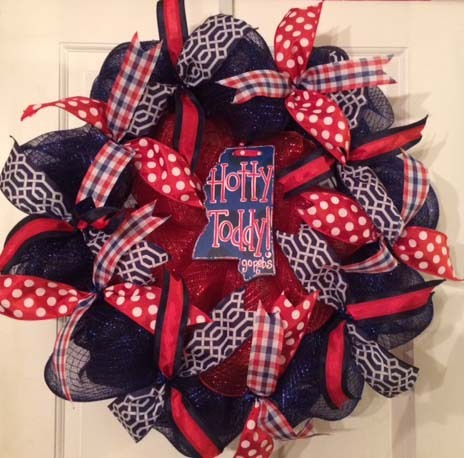 There are several unique Ole Miss, Hotty Toddy wreaths to choose from. All wreaths are made with red and navy metallic deco mesh, beautiful contrasting navy and white ribbon, and a unique sign. 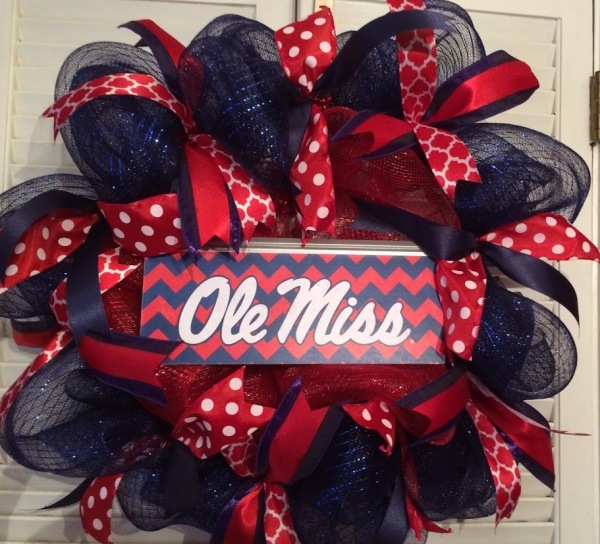 This is a great fan wreath for your front door, or your tailgating spot in the Grove. 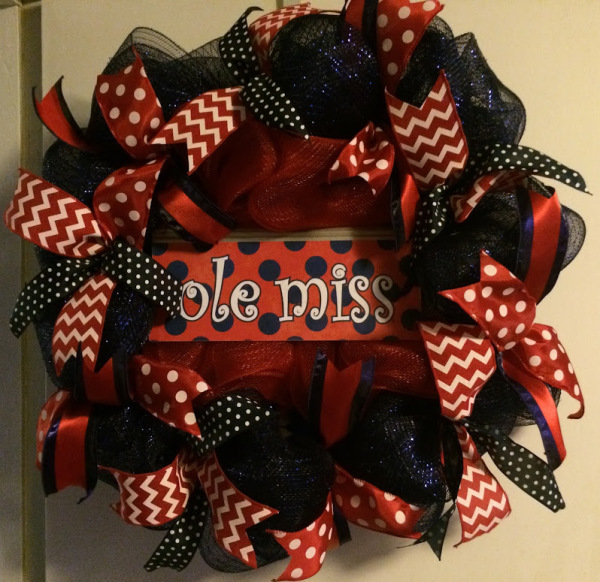 Show your Rebels pride.